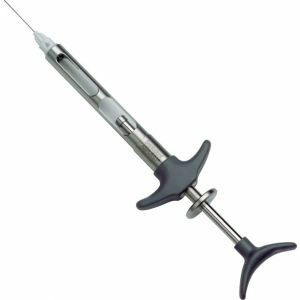 Hypodermic aspirating syringes are used to inject local anesthetics like Lidocaine. 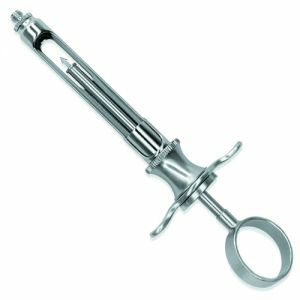 These kinds of syringes are offered in standard and small sizes to fit different thumb sizes. 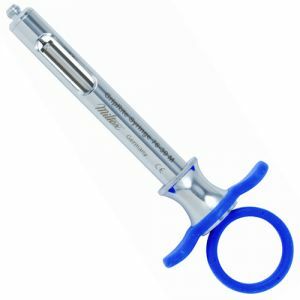 Some come with silicone handles and wings to achieve maximum comfort while aspirating. 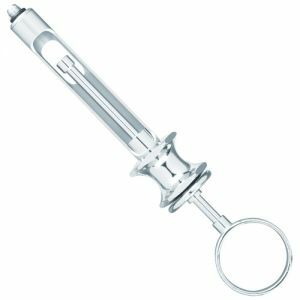 Dental aspirating syringes are made using lightweight aluminum and durable, surgical grade stainless steel while their ergonomic shape makes them comfortable to use and easy to control. 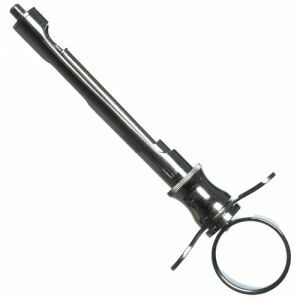 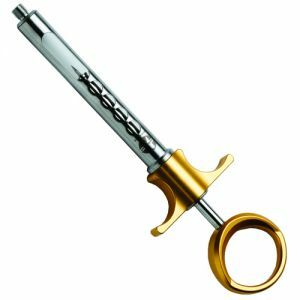 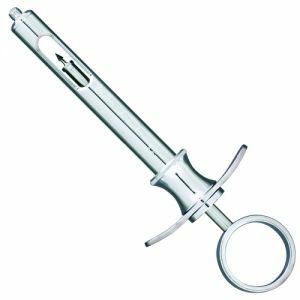 At Scott's Dental Supply, we offer a large selection of aspirating syringes from top brands like Septodont, Hu Friedy, and Miltex.